Conversation tracking is a paid feature that lets you view your contacts' replies to your email campaigns from inside your Mailchimp account. When you enable conversation tracking on a campaign, we'll save messages in the campaign report and in the contact's profile. Conversation tracking offers more flexibility than a standard reply-to email address because it allows other account users to receive email notifications when a contact replies to your campaign. You can also use conversation tracking as segmentation criteria. In this article, you'll learn how to enable conversation tracking for a campaign and how to use it in your account. Enable conversation tracking in the Settings & Tracking section of the Campaign Builder. With conversation tracking turned on, you can choose which account users will receive notifications when contacts reply to the campaign. To set up conversation tracking for your campaign, follow these steps. Navigate to the Settings & Tracking section of the Campaign Builder, and click Edit. Check the Use Conversations to manage replies box. If you want other account users to receive notifications when subscribers reply to your campaign, click the blue reply notifications link. In the Notification Settings pop-up modal, check the boxes next to the account users that should receive reply notifications for this campaign. When you use conversation tracking on a campaign, the reply-to address your contacts see will appear as a randomly generated series of numbers, followed by @inbound.mailchimpapp.net. This allows us to maintain conversations within Mailchimp and link the replies back to your campaign. After you send a campaign with conversation tracking enabled, you'll be able to view and reply to conversations from the report and in contact profiles. There are three places to access your conversations: the Campaigns page, the campaign report, or a contact's profile. On the Campaigns page, click the drop-down menu next to your campaign's name and choose New Conversations. In a campaign report, navigate to the Conversations tab to view and respond to all replies from subscribers. Only Manager, Admin, and Owner users can view Conversations. The Conversations section in Reports will not be visible to Authors and Viewers. If you've had a long conversation with a particular contact, you can review the entire discussion on the contact's profile page. Navigate to the campaign report and click the Conversations tab. Click the drop-down menu next to the subscriber conversation, and choose View profile. Click the All Activity drop-down menu and choose Conversations to see all the messages you've exchanged with your contact for campaigns sent to that list. Click View Conversation to view the full exchange for a given campaign. To reply to a conversation, follow these steps. Click the Reply button next to the subscriber entry. In the field provided, type a reply to your subscriber. When you're finished, click Send. Any messages from this subscriber about this campaign will appear as a discussion here. You can also reply to conversations directly from your email account when you receive a conversations notification. Click to reply to the notification email in your program, and add your message above the line indicated. The conversations tool does not support attachments. If you think recipients will send attachments in reply to your campaign, you may want to disable conversation tracking so all replies and attachments are sent to the From email address for the campaign. This will ensure you receive all your messages and attachments. On the Conversations tab of the Reports page, you can filter conversations based on whether they are read or unread. 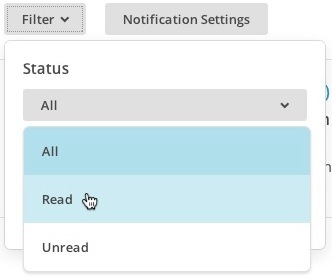 Click the Status drop-down menu, and choose Read or Unread. 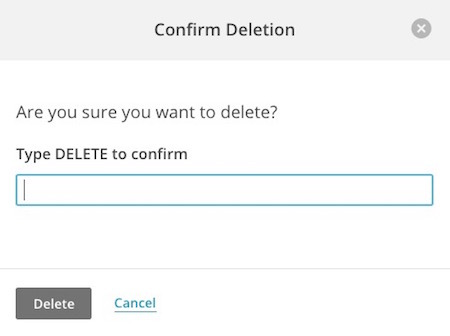 Mailchimp automatically filters out automatic out-of-office replies from the results on the Conversations tab. However, if you'd like to display out-of-office replies in the Conversations tab, check Include out of office replies on the Filter drop down-menu options. 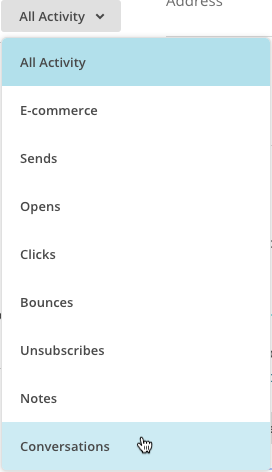 Mailchimp's Search tool can be used to search for subscribers, so you can quickly access conversations with them. Navigate to the Search page in your account. Type in your search terms and click the Search icon. From the results, click the subscriber whose conversation you want to view. To permanently delete subscriber conversations, check the box next to each conversation and click Delete. Deleted conversations can't be recovered. 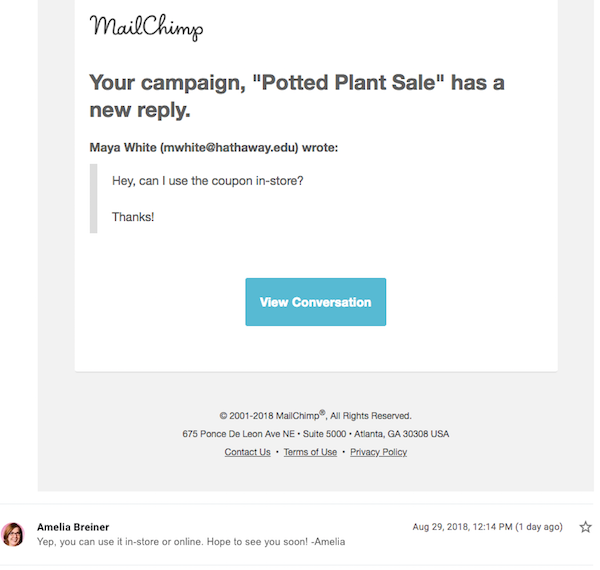 Learn how to set or change the email subject line, preview text, from name, and from email address on a campaign in Mailchimp.